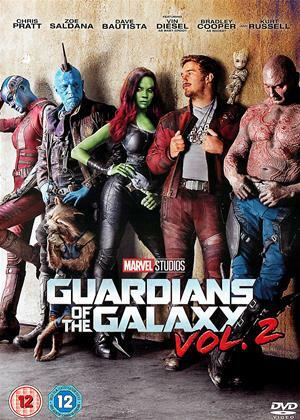 Tom Hiddleston, Samuel L. Jackson, Brie Larson et al. Not knowing quite what to expect, I was pleasantly surprised and quite enjoyed watching this movie! The other reviews on here really say it all, whilst there is a very strong cast of characters, there are far too many to spend time developing any real personality, so they simply help to tell the story and keep things jogging along. And this film really does move along with a fast pace, once the action starts, it doesn't let up much, but just enough to give the right pauses and build up to the next action sequence. Taking the original story and giving us a much more modern take, this takes place entirely on Skull Island, rather than relocating to New York and is all the better for it. It also helps to develop a neat ending, but just strong enough for a sequel. I thought the CGI was very good, especially on Kong himself, who comes across as a real hunk of a monster in a nice badass way, but you really know he's the good guy in all of this! For me the two main let down were the monster Kong was fighting, which were too similar to the monsters in Riddick I thought and Samuel.L.Jackson whom I feel is starting to get a bit typecast and i didn't like his character at all, but perhaps that was the whole point of it! In all a very enjoyable film to watch and highly recommended if you're a fan of the creature feature! Never before have so many one-dimensional characters inhabited the same space. Never before has such dire dialogue been uttered. Never before have so many inconsistences been so blindingly obvious. The plot is the usual stuff: scientists/soldiers/explorers trek through jungle to be systematically bumped off by giant lizards/birds/spiders. The narrative is as dilapidated as the escape boat which the trekkers cobble together from old airplane parts, as shot through with holes as Kong would be if the thousands of bullets from hand guns/machine guns/rifles had penetrated his hide. The ape himself? No bigger/hairier/scarier than any of his forebears (or foreapes). Action? Virtually non-stop: men slaughtering beasts/beasts slaughtering men/beasts slaughtering each other. But it's all been done so many times in so many movies this overkill is now just boring. If you liked '10,000 BC', 'Godzilla' (1998), '2012' you might enjoy this. If you loved the original 'King Kong' stay well away. I watched this film with trepidation because I had read about it and seen reviews and actually it was better than I expected, but I had low expectations! It's watchable and fun! The characters are awful and almost everyone is horrendously miscast, especially Tom and Brie as the lead characters! 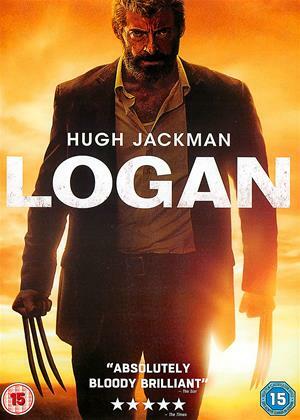 I think only Samuel L Jackson pulls off his bad guy character, by putting everything into it and the plot and script are just not important to this film. But the special effects and beautiful scenery are great! It you want a fun and action filled romp, this is it! I much preferred this actually to Peter Jackson's 2005 King Kong remake which was way too long and takes itself very very seriously! This knows what it is and is fun. It was better than expected because I enjoyed watching it and a sequel is in the works! Whilst the visuals are incredible, it takes more than visuals to make a good film. I just felt like it was a demonstration of CGI with little effort put into a compelling plot. I was going to give this 3 stars, but then i watched Dunkirk and Cloverfeild 3 shortly after, and realised this is actually really, really good compared to them! Its a harmless monster romp thats not doing anything special. Everything is acceptable. One thing im grateful for is the film doesnt exploit any sentimentality, thats taste of course. Hardly in competition with the original which had no CGI just crude special effects but was 10 times the film this is. However, it moves along keeping your interest by action and its good looks. Lazy plot and the kind of baddie monsters we have seen so many times. Glad I saw it at home and didn't go to the trouble of visiting the flicks. Recommended as a basic 'give 'em what they want' movie. I enjoyed this for what it is a monster movie. It was bit poor how they just accepted the death of the people they were with. It is an okay film but I thought the CGI was not as good as it should of been. Samuel Jackson was very annoying for me in this and for me wasn't that good either. The script in places was poor as well . John Goodman was nice to see he has lost a lot of weight and looking better. I shall still look forward to the next Kong film. 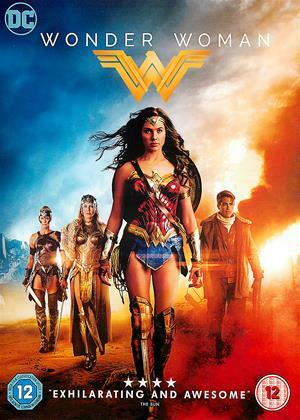 The majority of this movie is similar to the segment in Peter Jackson's Kong remake where the characters fall down into an part of the island inhabited by giant insects and have to fight for their lives. In this movie we have Kong taking the role as protector of his island and of the 'nice and friendly animals' e.g. giant ox, and giant stick insects, and humans against the 'bad and aggressive animals' e.g. giant spider things, evil dinosaur birds, and giant lizards (or carnivores vs herbivores). The story is completely irrelevant and would have worked just as well without Kong, but consists of adventurers and 1970s American soldiers providing 'protection' on a secretive mission. However their actions anger Kong, leaving everyone to fight their way back through jungle terrains to the safety of their mission base. 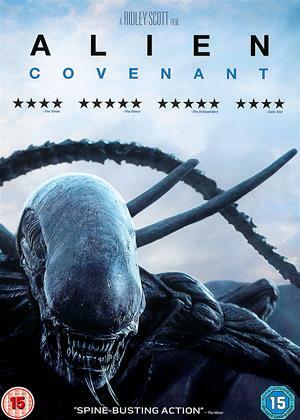 So the story does have similarities to the 1980s movie Predator but has none of the tension or mystery, just close up battles between humans and huge animals. Although these sequences are thrilling they could have been put into a film not involving Kong but just explorers investigating a monster inhabited planet, and that may have presented a monster movie with a fresher perspective. A brief summary - Apocalypse Now meets King Kong. A load of old nonsense which I expected, but I do love a monster movie and Kong is a bit of a classic. Shame they did away with the best bits of Kong films by not bringing him back to civilisation, but kept the worst i.e. Peter Jacksons crazy monsters. Anything though with Samuel L Jackson is worth watching. It was daft, very USA at times, thank God for Tom Hiddleston to make it a little less annoying. CGI was so so, Kong was pretty good. It's the first Kong film I've seen and was surprised that I really enjoyed it. Scenery was fantastic and an extra showed that a lot of It was real, scenery that is. Watch till the very end credits. After a visually inventive pre-titles sequences set in 1944, in which an American and Japanese pilot parachute onto the island, the rest of this 1970s-set film is as predictable as you’d expect. 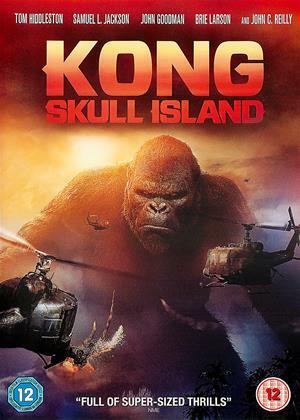 The motley cast form an expedition that flies into the island by battle helicopters, all of which fly close enough to Kong for him to swat them down. It’s laughably inept, as is everything else about the movie. Expect the usual coterie of cgi creatures for Kong to fight and leave the viewer wondering: why bother to remake this film yet again? The cgi is okay, as you’d expect these days, but the more realistic you make Kong (and Godzilla and Planet Apes etc.) the less fun and more ridiculous the whole idea becomes. Apart from the pre-titles sequence and a brief end-credits postscript, nothing unexpected happens here and the only thing worth looking at is the Hawaiian and Vietnamese scenery. This movie is SO reliant on CGI effects - it's almost a computer game. Like so many movies drenched in CGI, this is a strangely cold affair, and I felt no emotional connection at all with any of the characters. I didn't care what happened to them. I saw the blatant attempt to engineer that with a man writing letters to his wife and new born son all the time. But it didn't work. It's all silly and preposterous, of course. And even Kong is unsympathetic - and the underground creatures just computer game monsters. Watch the 1933 Kong to see how it should be done - now THAT Kong was human, if you see what I mean. You cared about him and Fay Wray and the rest. You won't care about this lot. Watch till the end of the credits to see possible sequels featuring Japanese Monster Movie creatures in future. CGI dominated, failed to engage with the characters. I didn't really care what happened to them. If it moves blast it seemed to be the philosophy. OK if you really have nothing more interesting to do. Kong: Skull Island is not ignorant of its audience. 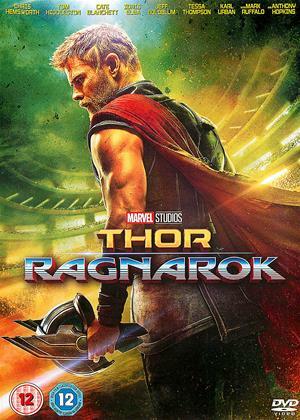 It’s a movie that knows we didn’t come to watch Tom Hiddleston as a gun-toting adventurer, Brie Larson as a damsel photographer or Samuel L. Jackson as a vengeful colonel. We want King Kong! And there’s plenty of him to go around in this giant monster picture that doesn’t shy away in the least from its star attraction. It’s normally a bad idea to show too much of a movie monster, but Kong looks so good that this unspoken rule may have to be revised. This is a movie very much aware of its silly B-movie adventure premise that it plays as a nostalgic throwback to the goofier giant monster movies of yore, for better and worse. The first twenty minutes sets up all the disposable and forgettable human characters for the 1973 expedition to Skull Island. There’s the scientists that want to prove a Hollow Earth theory, the military men used as fodder, the additional scientists used as more fodder, a photojournalist to snap some pictures and seasoned mercenary to lead them all through the jungle with rifle in hand. There’s no point in stating their names as there is too many to keep track off and not enough personality to any of them. There is no real arc for any character, save for Samuel L. Jackson as the frustrated colonel that wants a war so badly after Vietnam. Things pick up slightly with their journey when they run across John C. Reilly as a man who has been stranded on the island for decades, but he, too, can do little more than spout a few funny lines. But enough about them; let’s get to Kong! Right from the first scene, we get to see the titular ape in all his gigantic glory. There’s no hiding in the shadows for this beast as he bursts onto the scene the moment the invading military start dropping bombs on the island. We get to see Kong from nearly every angle as he swats at the invading helicopters, roaring and beating his chest to establish his dominance. And since the humans are not as intimidating once Kong scatters them, there are lots of monsters on the island for Kong to pulverize. His main enemy for the picture: a dinosaur-like creature with an exposed skull that previously murdered Kong’s parents. It’s up to Kong to prevent the complete extinction of his race and get revenge for his parents. Meanwhile, the human characters push through the jungle to reach the boats that will meet them at the other end of the island. They run into several monsters that want to eat them along the way, but there’s a strange passivity to their adventure as if they realize they’re all trapped in a giant monster B-movie. A scientist is shredded by giant birds and everyone just sort of moves on, only one of the travelers remarking how messed up it is that nobody is going to talk about this. The military men realize one of their men is stranded on the far end of the island and have to after him, not realizing that they’ll just run into more monsters that will eat them. Even the gobbled up humans are given just enough seconds before their demise to deliver a beat-punctuating curse or sigh. There are a few moments where the characters get in some exciting thrills as when Jackson creates a lake of napalm and Reilly slices up giant birds with a samurai sword. While there’s a certain self-awareness to the silly nature of this adventure, I wished it were a little more mindful to not make the same mistakes as those classic monster movies. I know the human characters are not important, but it doesn’t help that this movie doesn’t bother attempting to make them anything more than lame jokes. I will give the cast credit in that the likes of Tom Hiddleston, John Goodman, Samuel L. Jackson and John C. Reilly put their best foot forward in a movie that doesn’t have time for them. The casual nature of the adventure does keep the movie relatively light and amusing, but it’s perhaps too casual at times the way characters brush off death so easily. And for being set in the 1970s, the movie relies on an awful lot of familiar 70s rock associated with the Vietnam war, practically exhausting every possible song. Even worse, the movie feels the need to make these songs present on radios and reels that the military apparently take with them on their journey through Skull Island. I half-expected one of the soldiers to lug a giant reel-to-reel audio player on their shoulder like a boombox. I found myself smiling an awful lot at this picture, but my grin was at its peak anytime Kong was on screen. I adored the way he brutally savages a giant squid for dinner and later pulls the guts out of an attacking dinosaur. These are fantastic scenes that are sure to stand out for any kid that found themselves enraptured with the battling dinos at the end of Jurassic World. The filmmakers must’ve realized the kids would care more about Kong’s hunt for revenge rather than a romance between Hiddleston and Larson that never culminates. Kong: Skull Island does exactly what’s expected of it and while it doesn’t redefine the genre, it at least proves that giant monster movies haven’t grown too cynical in the 21st century.